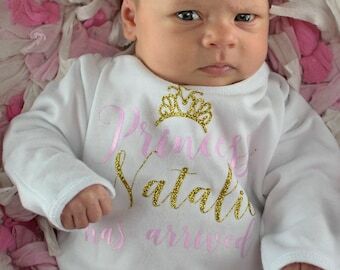 Newborn girl Coming home outfit. 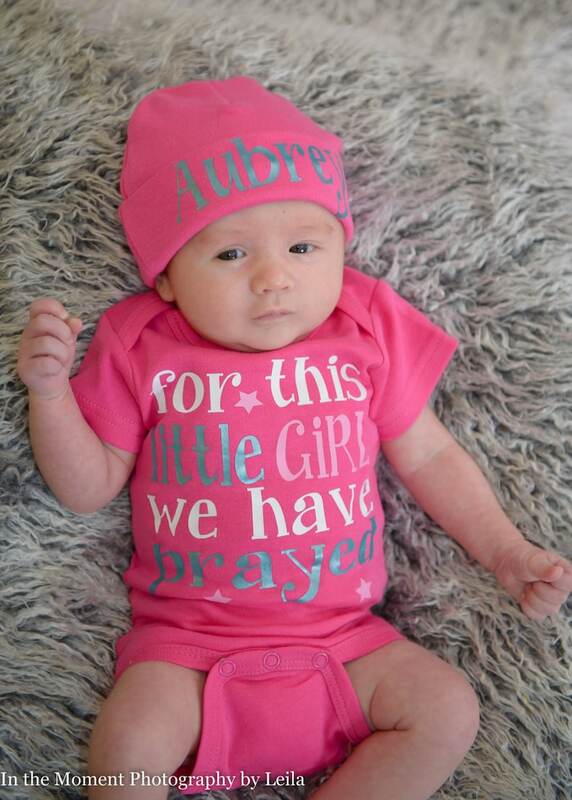 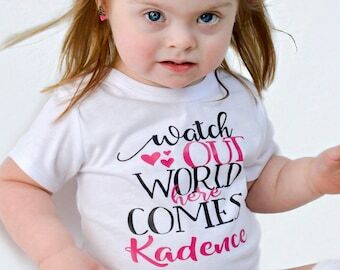 For this little girl we have prayed bodysuit or gown. 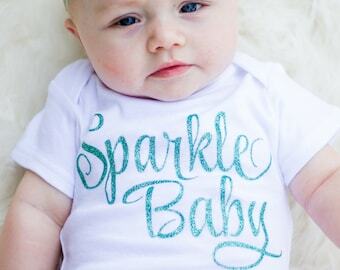 Perfect for a baby shower gift, bringing baby home from the hospital or those first newborn photos. 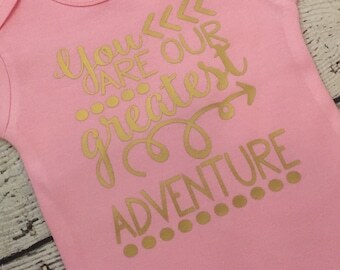 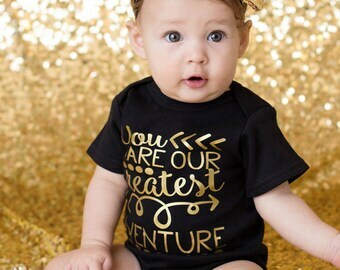 Newborn girl coming home outfit, Baby shower gift, our greatest adventure girl bodysuit, Newborn photo prop, newborn girl coming home.